Walter Mazzarri has a record; he’s never been sacked. If Inter don’t make it to the Champions League this season, will that end? It’s too hard to speculate but in the World of football it wouldn’t be far fetched. On one side, Inter president Erick Thohir is not a fan of formations with back 3’s so a failure to quality might make him consider, but on another side he is a fan of consistency, very hard to say. Mazzarri has preferred a 3-5-2 formation constantly, while it has been successful in Italy, is there a concern with his insistence on it and lack of alterations/variations? Mazzarri publicly stated towards the end of last season that he will train Inter with the 4-3-1-2 and 4-3-2-1 formations but hardly featured them in preseason. With the arrivals of Vidic and Dodo, Inter are geared to play 4 at the back, and it might well happen during matches. Gary Medel would be a player that could make that transition possible if he is one of the defenders in a back 3, he can push up into midfield and Inter would have more options. But the problem is Ranocchia would be the most probable defender to make way and he is Inter’s new captain. The introduction of both M’Vila & Medel can prove to be the biggest difference in midfield, both quality enforcers in there. The thought is Hernanes takes up the creative role, with one of those two the more defensive one, who gets a starting spot for you? Yann M’Vila all day long. I’m not a fan of mixing two quality midfielders with a pure ball winner (Medel). M’Vila possess a great long pass which Medel doesn’t, as well as a positive footballing brain. For me ideally, Medel would be the utility player that plays in multiply roles and a great sub to shore things up when needed. Given that Mazzarri employs a two-man system upfront, there are only three players available for that position, if the boss insists on that one formation; an injury makes it even more difficult to change things around when trailing in games. Will that be an issue? That is Inter’s main issue right now. Inter are actively looking for a second striker who could replace Palacio if needed. I would prefer a player like Lavezzi, a quick player that can create chances for himself and others. Pace needs to be emphasized for that position. In a worst case scenario, if Inter don’t sign a new striker then Ricky Alvarez could well be pushed up. 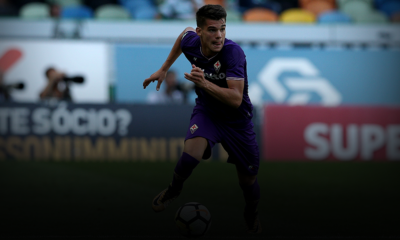 We track the progress and performances of youngsters with our Talent Radar feature. How important a season is this for Mateo Kovacic given there’s added expectations with his performance? Can he handle the pressure of potentially being the main creative head in attack? Kovacic will have higher expectations than last season mainly because he showered a lot of his potential last season, not because he is expected to carry the team at such a young age. The main issue with Kovacic has always been positional. In theory he would be a good attacking playmaker due to his dribbling and vision but his lack of finishing ability makes him a waster in that position. He doesn’t have to be the main creative head in attack but rather the player that pulls the strings all over the pitch. With Hernanes on his flank that responsibility can be shared which takes pressure of both players. Teams have in the past sat back in the Europa League, given the negative impact it has on their league form. But Europe’s second competition now has the added Champions League incentive for the winners. 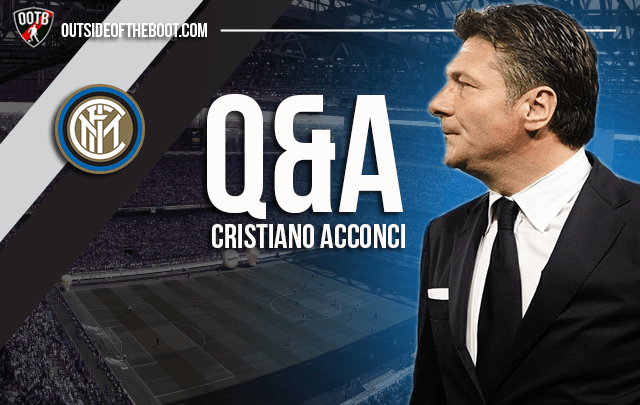 Do Inter approach the tournament as a priority? 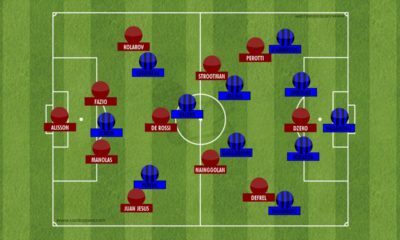 I think Inter’s priority is the league, but the way Inter have strengthened their team this season suggests that they want depth in midfield to handle both competitions. 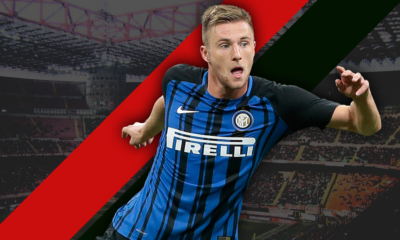 As mentioned earlier, Inter need another striker for more reasons than just injuries, if they want to mount a serious Europa League challenge they will need another striker. Also the depth in wing-backs is a good indication that he is building a team that is geared for two main tournaments. Inter are far from the force they were a few seasons back, but supporters have been patient in ensuring steady progress. Are there increased expectations among the fan base this season, or another season of steadying the ship? There are definitely higher expectations than last season due to the new ownership, which has brought excitement to fans. Personally, I am the type of fan that likes to look at the long-term picture more than the short-term picture. President Erick Thohir has done the dirty job of sorting Inter’s debt; he has also set up a corporate team of professionals to market Inter in a more structured way. He is also assembling new revenue streams in Asia and the US. When you factor in good signings and consistency with the manager, all of these things should in theory guide Inter to a more productive season. Football is very relative as well; I believe that some of the “strong” Serie A teams have weakened, so yes my expectations are high this season! How much will players like Zanetti and Cambiasso, who contributed so many good years of service to the club, be missed? Zanetti is now Inter’s Vice-President so the legend lives on. Zanetti’s powerful runs and passion will be missed but with his presence within the Inter family will make the team transition smoothly. Cambiasso on the other was a player that organized Inter from the back and such a player is hard to replace. M’Vila is Cambiasso’s natural replacement and so far he has done well. It won’t be easy to emulate Cambiasso’s achievements but for the first time in years, Inter have a midfield that complements each other rather than individuals trying to fit into a puzzle. Questions answered by Cristiano Acconci. You can read all our interviews and Q&A’s here.